I watch as his little brain gets sucked out his eyes. At least that's what it looks like when my toddler watches videos. His jaw is slack. His eyes dart around the screen, taking in the fast moving images. It makes a bit sick to my stomach, actually, and I have to make it stop. A few months ago, we introduced our little man to the power of YouTube. This helped a great deal during our seemingly unending hours of travel. We maintained some sense of sanity and peace as Ari stared in awe at a cartoon Russian girl conversing with a bear, and he watched the animal videos on loop. Then, in Oklahoma, Ari rode a horse. Twice. Since December, he now asks multiple times per day, "Horsey? Up?" We become the horses. He romp, he giggles. Sometimes we are tired. Sometimes it feels good to have a toddler snuggled in my lap, quiet and calm for a moment. Plus, it's not really tv, right? I grew up in a television rich environment. I can tell you about my fascination with Sesame Street, The Thundercats, Voltran, He-Man and She-ra, and a host of confusing movies I watched with my parents - to this day, I think they let me watch them only because they knew I wouldn't understand the sexual innuendo. I've watched some of these movies as an adult and am SHOCKED at what those movies were actually about. Ah well, it was the eighties, and television was good for kids. It was educational. I could quote the studies on the deleterious effects of television when viewed by children under two, but it's not really the experts that make me want to keep him from the screen, it's that blank look my son gets on his face. He is utterly absorbed in a way I don't like. I've tried to be okay with this. After all, I don't live on a farm, and my child craves images of horses, chickens, goats, and sometimes, bunnies. 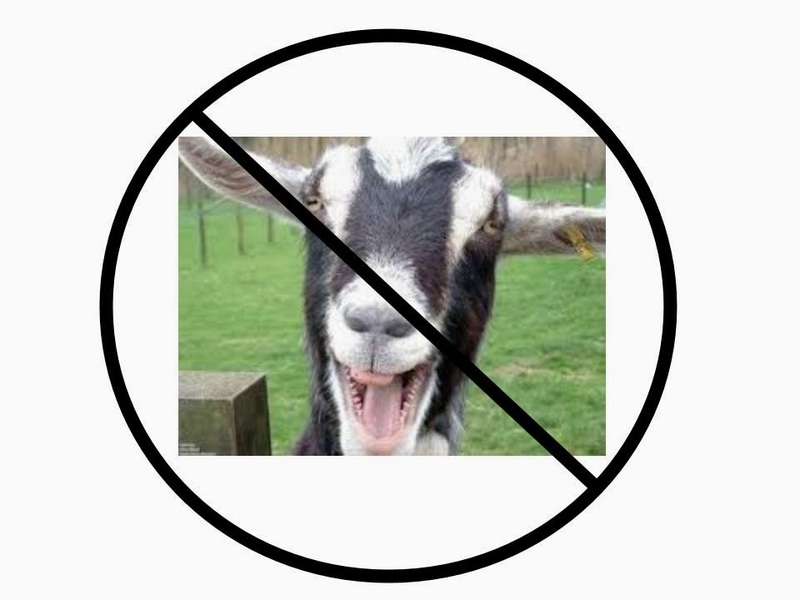 Youtube videos allow him the chance to "interact" with these animals (Yes, I know we could take him to a farm or a petting zoo, but he makes these requests at 7 p.m. on weeknights, a time when it is much easier to oblige the request than to run off to pet a goat). I'm over my own rationalizations, though. If the blank stare, paired with the occasional gleeful shout ("Horsey!" "Chicken! Chicken! Chicken! "), wasn't enough, there are now the nuclear meltdowns that come after we turn off the videos that have me convinced it's time to eliminate the screen time. Monday, we turned off the screen so we could read together, and he started screaming, "Goaaaats. Goaaaaattttttts." He bawled. His face turned red. He started sweating. I grabbed a book and started reading to distract him. He got somewhat involved in the book, there were horses after all. I thought he had forgotten about the videos. Then he would turn to us and whimper, "Goat." He was a mess. Wednesday, he was all about chickens. We watched a few videos, then I was ready to move on to a new activity. He was having none of this turn off the computer screen nonsense. He bawled, he cried, he turned red..."Chicken! Chicken!" I was glad we were at home, where no one but the dog could bear witness to this complete meltdown. We had watched videos for ten minutes max. He screamed for twenty. He asked me to get up. I would ask him to say please. "No." He wanted to be picked up, then would go limp noodle. Finally, after he had completely forgotten why he was crying, he collapsed in my arms, rested his head on my chest, and sighed. His little heart raced against mine. His breath was ragged. He sniffled. All over chicken videos. No more videos. Sorry, buddy. On a completely unrelated note, anyone have ideas for how to indulge a farm animal crazed toddler without the use of animal videos?